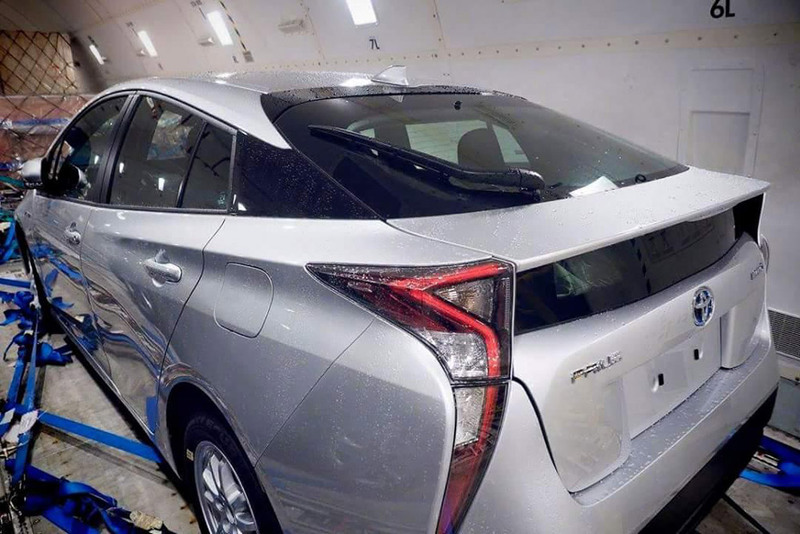 Fortunately and for the first time, the cars have no apparent camouflage on them, giving us a very good look at Toyota’s next generation Prius. If the front-end looks familiar to you, it’s because of its apparent resemblance to the Mirai’s, Toyota’s fuel cell vehicle which went on limited sale in California earlier this year. The Prius Plug-In Hybrid is expected to have an electric range of 30-35 miles before the gas-powered motor takes over. A welcomed ~300% improvement over the previous generation.